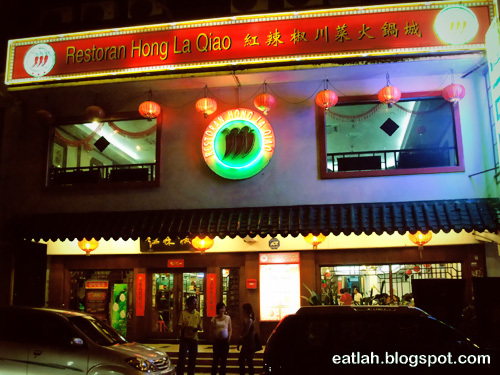 Restoran Hong La Qiao @ Pudu, KL | where and what to eat lah? Restoran Hong La Qiao (红辣椒) - literally means red chili, is one of the first restaurant in Malaysia serving Sichuan dishes and Sichuan hot pot. 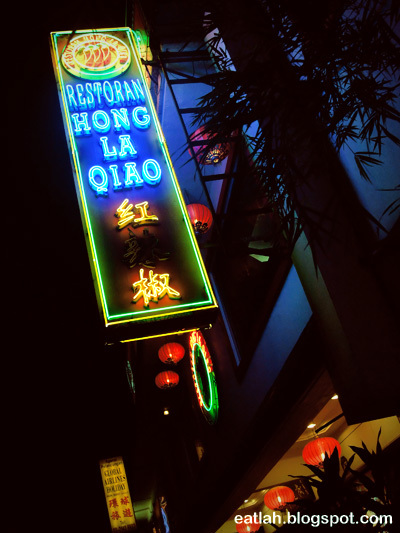 Located in Jalan Changkat Thambi Dollah in Pudu for almost a decade, Restoran Hong La Qiao was first started by Mr. Li Ying Ping with chefs hailed from all over China. 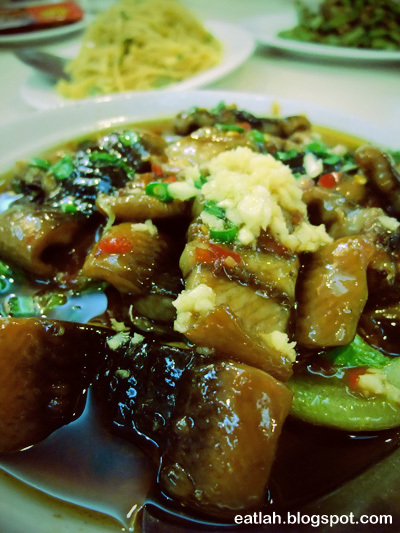 Sichuan cuisine is famed for bold flavors, particularly the pungency and spiciness resulting from liberal use of garlic and chili peppers, as well as the unique flavour of the Sichuan peppercorn. 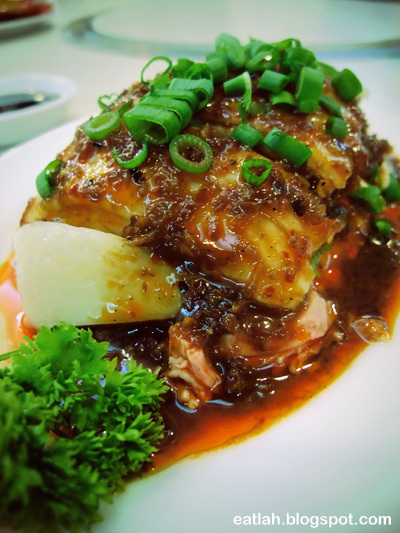 While Sichuan food is indeed spicy, that is only part of the story, as you see when you taste a fabulous cold dish like the famous spicy chicken (RM 10). This spicy chicken cold dish was done nicely, it wasn't just spicy but flavorful while retained the tenderness and juiciness of the meat as well. Boiled shredded eel in spicy sauce (RM 26), wasn't as spicy numbing and flavorful as expected, it was just okay. At least the eel was fresh and chewy. 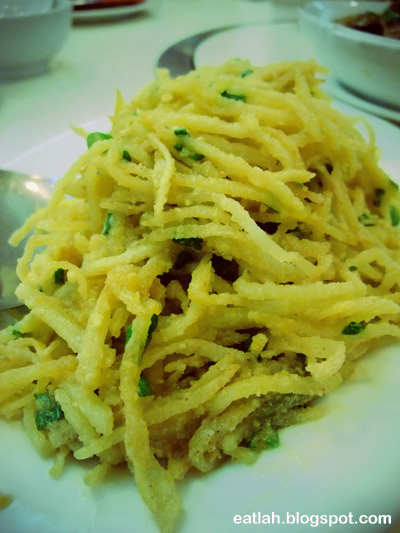 Spicy fried shredded potatoes (RM 20), heck expensive for potatoes but it was rather tasty! Instead of cooking it with vinegar sauce, each tantalizing crunchy strands were delicately covered with a layer of salted egg yolk. It was truly appetizing! 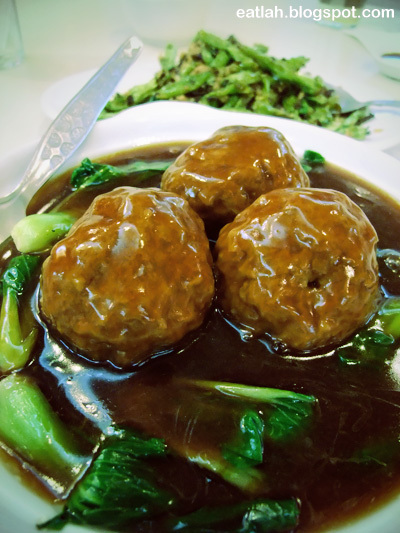 Braised minced pork balls in "Jang Nan" style (RM 20), or better known as the "lion's head", a casserole dish consists of large pork meatballs stewed with vegetables. The name derives from the shape of the meatball which is supposed to resemble the head of the lion and the vegetables, which is supposed to resemble the lion's mane. It was my first lion's head-to-head encounter and these over-sized meatballs were actually pretty delicious! 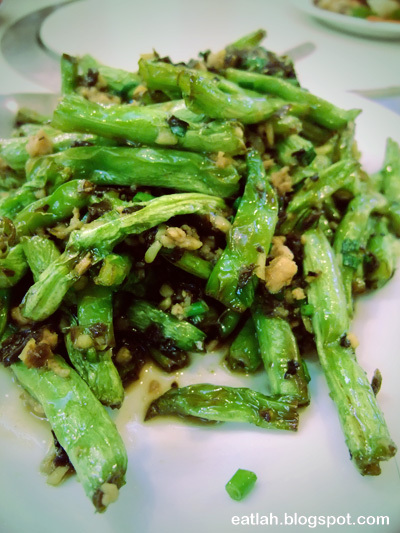 Stir fried French bean with minced meat (RM 18), a simple yet tasty dish - expensive though. Verdict: Thought that this was a rip off tourists "black" restaurant, but I was wrong! Quality of the food here is pretty authentic and good, albeit some are expensive. Nevertheless, I'll definitely be back to try out their popular ma la steamboat. wow..look nice...been passing the shop for like 100 times yet never tried....but RM20 for tat potato dish is wayyyy too pricy!